If you skipped huddling around the TV last night for the State of the Union address because you’ve heard it all before, plus you were just busy with life, well… so did I. Putting the real world on hold to watch the fantasy declaration of “utopia’s-on-its-way” just isn’t efficient. My truck radio was tuned in though. And driving kids to and from ball games with me negotiating control of the dial allowed me to hear what I’d forebodingly anticipated. Later, reading the President’s remarks on my cell phone made sitting on sticky steel bleachers (that exacerbate parents’ sore backs) that much more uncomfortable. It was all confirmation that we HAVE heard it all before – how more government is supposedly the answer. But the extreme hubris and naïveté that emanated from that speech was something new and alarming. Ronald Reagan said the nine most frightening words in the English language are “I’m from the government and I’m here to help.” Well, last night’s promise to grow even more unaffordable, unsustainable bureaucracy confirms we need rescuing from government like never before. In an attempt to “fix” our health care system, government has taken away our health insurance and forced us to buy worse plans we don’t want and can’t afford. To “stimulate” the economy, government blew a trillion dollars on a failed stimulus scheme that sunk us deeper into such a pile of debt that our great-great-great grandchildren won’t be able to pay it off. And our government still wants to blow more money we don’t have on “investments” that will incur more deficits year after year. To “lead” us to energy independence, government throws billions at bankrupt boondoggle green energy gimmicks that conveniently reward campaign donors. Meanwhile, the President stymies development of conventional resources that we actually use and he kills a pipeline that’s guaranteed to provide jobs and reliable energy. To “create” jobs, government has created more burdensome regulations and requirements and sat back to watch as a record number of Americans simply quit the workforce and gave up trying to find jobs that government can never create. Speaking of which, while claiming to be concerned with job creation for American workers, our government is trying to ram through amnesty, which will result in a flood of foreign workers competing with Americans for the few jobs there are. These examples prove that growing government isn’t the answer; rather, it’s the problem. It’s tempting to tune out rhetoric like last night’s naive promises that this time will be different, but we must not ignore it! Between the hubris of an executive branch governing by fiat, to the arrogance of believing it can spy on citizens’ communications and unleash the IRS to harass people who happen to disagree with the President, it’s now more important than ever for us to press in and pay attention. Why? Because we’re obviously on a dangerous path, but “We the People” don’t have to be “We the Sheeple” and just get shepherded towards a fundamental transformation that’s against America’s will. There’s another way! This nation can shine again with the elbow grease we as individuals can provide! But we mustn’t let a statist-leaning government dull our dedicated efforts. So pay attention. Get involved. Understand the way words are manipulated by politicians who practice to deceive, so that we can DO something about it. For instance, proving he’s immune to irony, the President used the phrase “fairness and equality under the law” at the end of last night’s address. This is the same President who has been arbitrarily amending his signature legislation, Obamacare, practically every other day to give breaks to his cronies and leave the rest of us without “connections” out in the cold. I guess some of us are less fair and equal under Obama’s laws. The last thing we need right now is more “help” from big government. In this mid-term year, we need to send new leadership to D.C. to get government back on our side and off our aching backs. Thankfully, November is just around the corner. In the nation’s history, there is simply no precedent for an American president so wantonly ignoring federal law. Of all the troubling aspects of the Obama presidency, none is more dangerous than the president’s persistent pattern of lawlessness, his willingness to disregard the written law and instead enforce his own policies via executive fiat. On Monday, Mr. Obama acted unilaterally to raise the minimum wage paid by federal contracts, the first of many executive actions the White House promised would be a theme of his State of the Union address Tuesday night. The president’s taste for unilateral action to circumvent Congress should concern every citizen, regardless of party or ideology. The great 18th-century political philosopher Montesquieu observed: “There can be no liberty where the legislative and executive powers are united in the same person, or body of magistrates.” America’s Founding Fathers took this warning to heart, and we should too. Yet rather than honor this duty, President Obama has openly defied it by repeatedly suspending, delaying and waiving portions of the laws he is charged to enforce. When Mr. Obama disagreed with federal immigration laws, he instructed the Justice Department to cease enforcing the laws. He did the same thing with federal welfare law, drug laws and the federal Defense of Marriage Act. President Obama has a different approach. As he said recently, describing his executive powers: “I’ve got a pen, and I’ve got a phone.” Under the Constitution, that is not the way federal law is supposed to work. The Obama administration has been so brazen in its attempts to expand federal power that the Supreme Court has unanimously rejected the Justice Department’s efforts to expand federal power nine times since January 2012. There is no example of lawlessness more egregious than the enforcement—or nonenforcement—of the president’s signature policy, the Affordable Care Act. Mr. Obama has repeatedly declared that “it’s the law of the land.” Yet he has repeatedly violated ObamaCare’s statutory text. In other words, rather than go to Congress and try to provide relief to the millions who are hurting because of the “train wreck” of ObamaCare (as one Senate Democrat put it), the president instructed private companies to violate the law and said he would in effect give them a get-out-of-jail-free card—for one year, and one year only. Moreover, in a move reminiscent of Lewis Carroll’s looking-glass world, President Obama simultaneously issued a veto threat if Congress passed legislation doing what he was then ordering. In the past, when Republican presidents abused their power, many Republicans—and the press—rightly called them to account. Today many in Congress—and the press—have chosen to give President Obama a pass on his pattern of lawlessness, perhaps letting partisan loyalty to the man supersede their fidelity to the law. But this should not be a partisan issue. In time, the country will have another president from another party. For all those who are silent now: What would they think of a Republican president who announced that he was going to ignore the law, or unilaterally change the law? Imagine a future president setting aside environmental laws, or tax laws, or labor laws, or tort laws with which he or she disagreed. That would be wrong—and it is the Obama precedent that is opening the door for future lawlessness. As Montesquieu knew, an imperial presidency threatens the liberty of every citizen. Because when a president can pick and choose which laws to follow and which to ignore, he is no longer a president. Mr. Cruz, a Republican senator from Texas, serves as the ranking member on the Senate Judiciary Committee’s Subcommittee on the Constitution, Civil Rights and Human Rights. Senator Cruz has the same fighting spirit for our country as Governor Palin, who was instrumental in getting him elected to Congress. 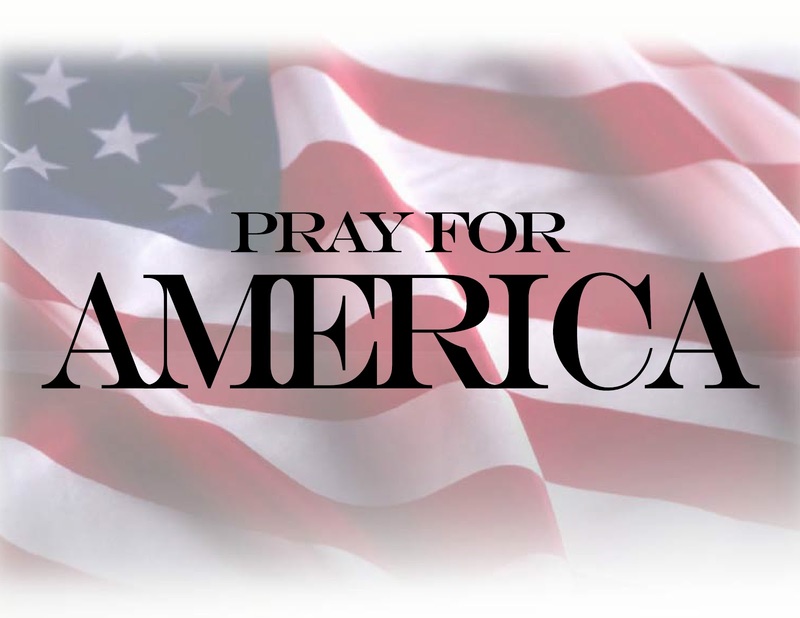 May God bless all of the above-mentioned patriots and give them success in their efforts to take back our nation and defeat Obama and the radical left machine’s agenda that is destroying our country.